In the first week of class, students were asked to explore different drawing techniques to capture wind and sound. Exploring our senses was a great introduction to explore how many different ways one can perceive something. Students explored drawing techniques such as blind contour drawings and contour drawings. Swooshes, flicks, zig zag lines filled across each paper as the different marks and hatches indicated a different sound and feeling. 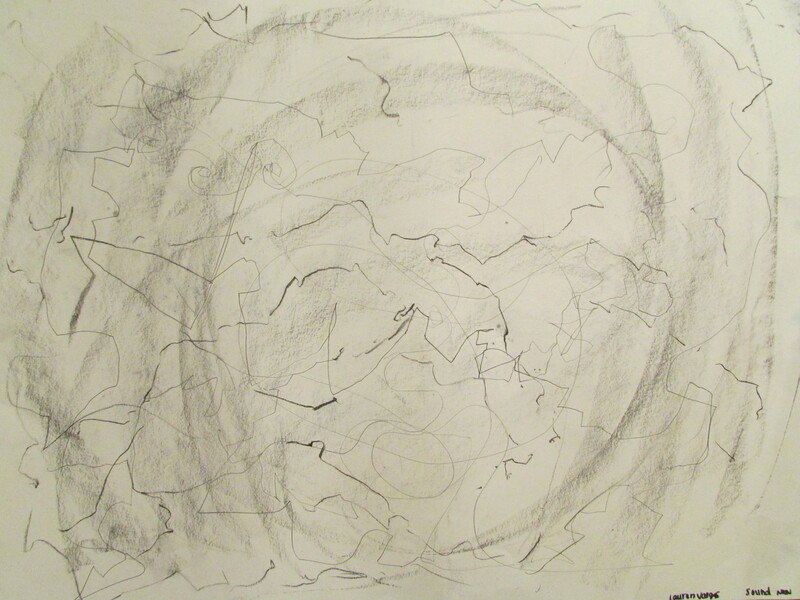 Each wind drawing was abstract and directed through the sense of sight, sound and touch. The most common shape that students had was circles and linear lines. A few used straight lines but most were guided into different directions around the page. It was a great introduction on perceiving the elements around us when preparing to visit Owen’s Valley and how each of our senses can drive an emotion through our drawings.